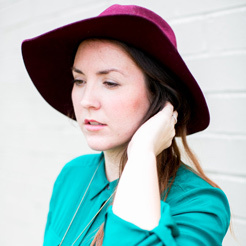 During the winter months, I could use a pop of color in my wardrobe, especially in the accessories department. 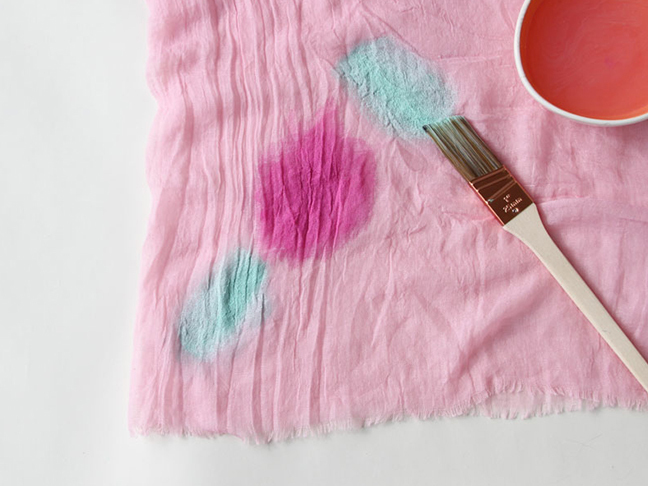 So, I’ll be keeping warm with this hand painted DIY watercolor scarf. It’s like a beam of sunshine. 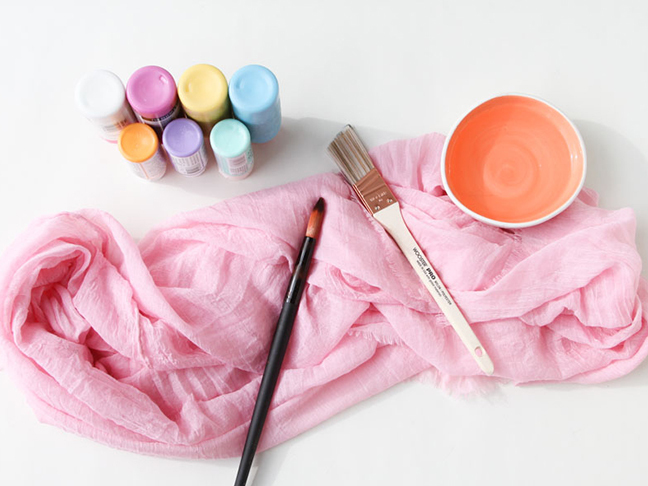 Step 1: Start by choosing your first color and painting a small area of the scarf. 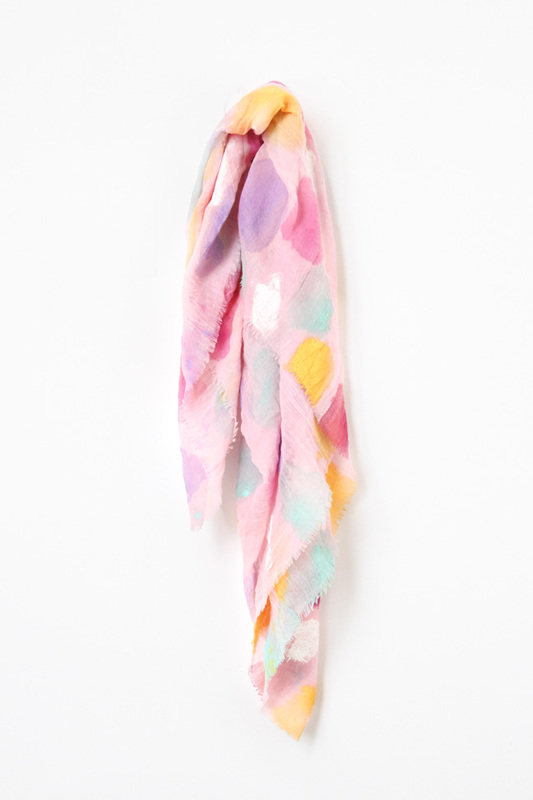 Since I used an infinity scarf, the fabric overlaps when it is laid flat (like two pieces of fabric on top of each other, except they are connected as one). 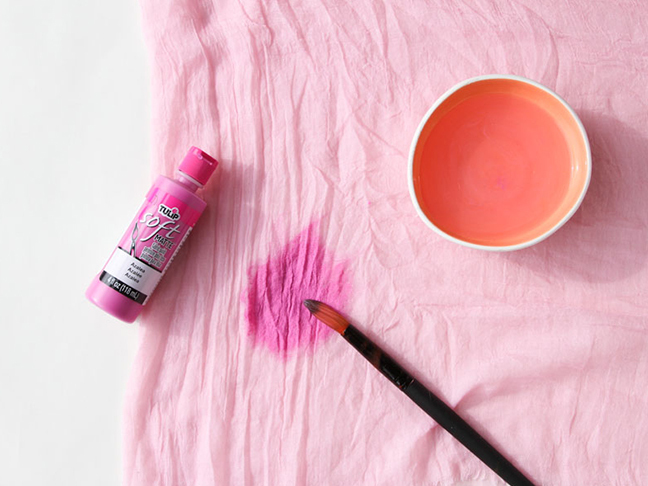 The paint will bleed through to the other side this way, which will make the painting process faster and easier. 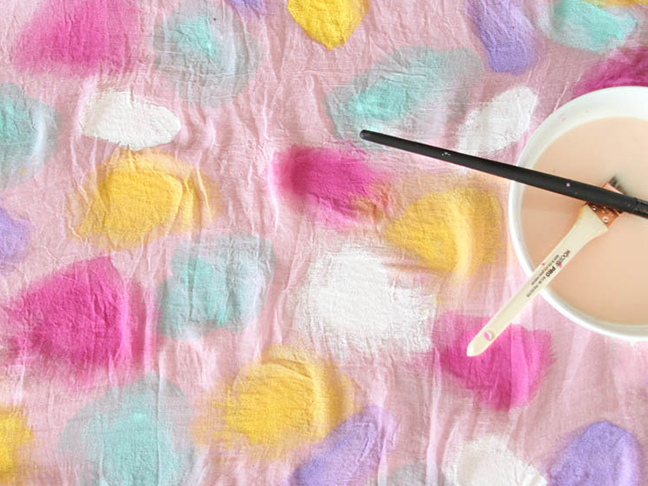 Step 2: Add water to the paint splotches as needed to achieve a more subtle watercolor look. Step 3: Continue adding additional colors the same way you did the first. 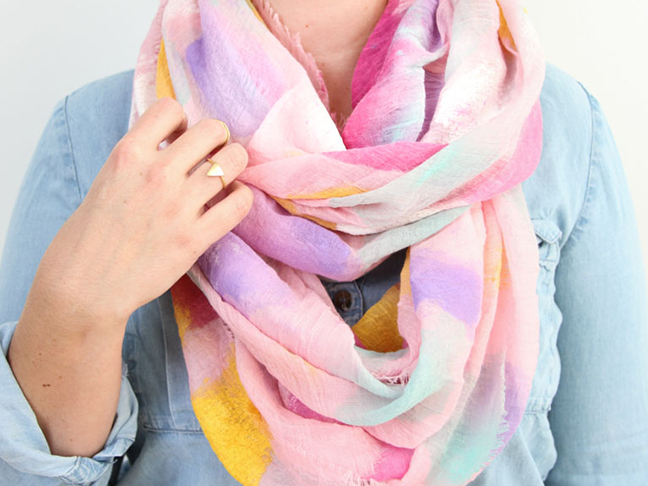 Step 4: Repeat this process until the entire scarf is covered. 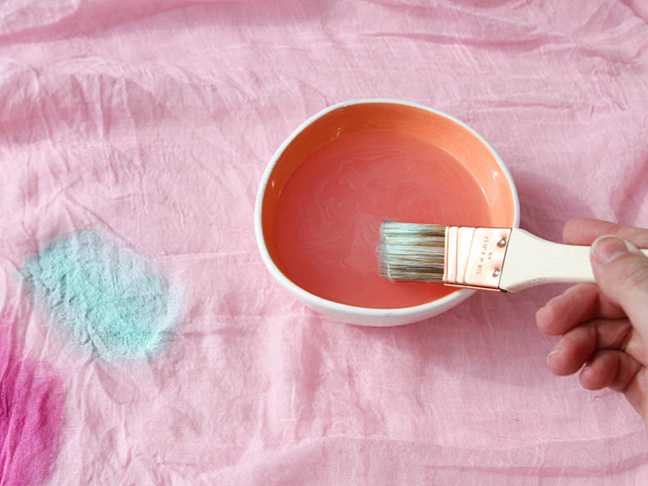 Wait for the paint to dry completely before using.